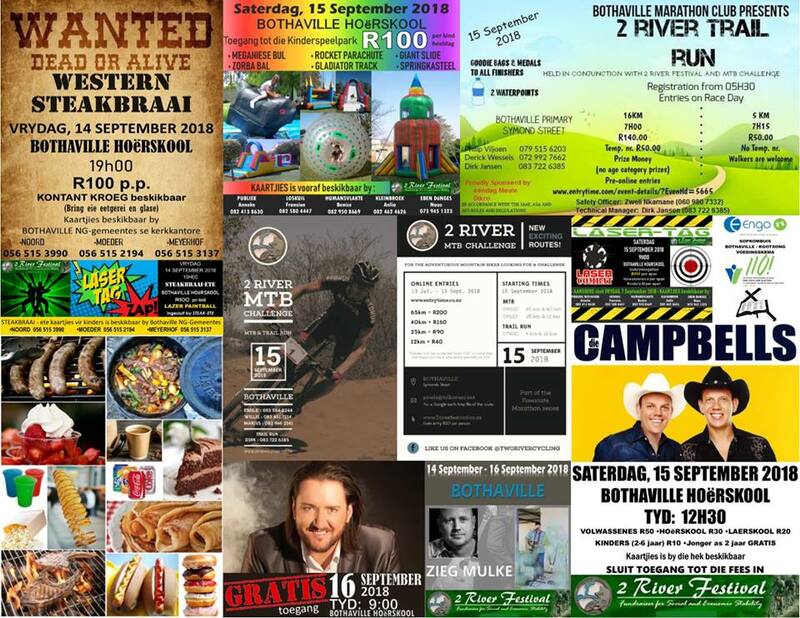 The 2 River festival is back for a 11th time on 15 September 2018. 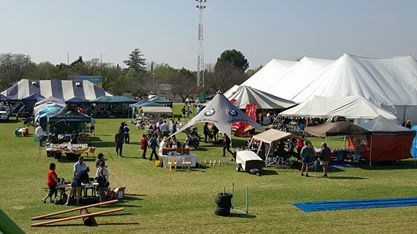 If you are not a cyclist the 2 River festival also has a Potjiekos contest, Netball, flea market-like stalls and even Agri Machine Exhibits. Come and enjoy pancakes chips-on-a-stick hotdogs, tjops and sosaties. of the Vaal & Vals Rivers. The route includes a mix of up and down hills, corners, rocky hills and shady sections between trees. This is a course with a difference with not just cycling on gravel roads but lots of other excitement and variety. There will be three water points on the 60 km route where cold drinks, water and snacks, will be offered. Ingangs Kostes : R50 - volwassens , R30 - skoolgaande kinders.